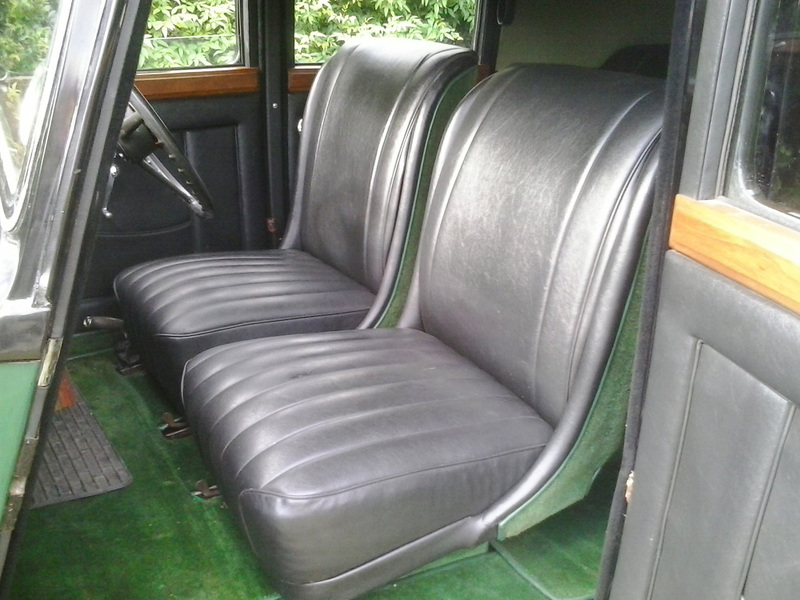 When the Lanchester Ten was launched in 1932 it was very well received by the motoring public, it particularly appealed to the driver who valued comfort and ease of operation over performance. If there was a criticism, it concerned the lack of power from its 4 cylinder 1203cc engine. 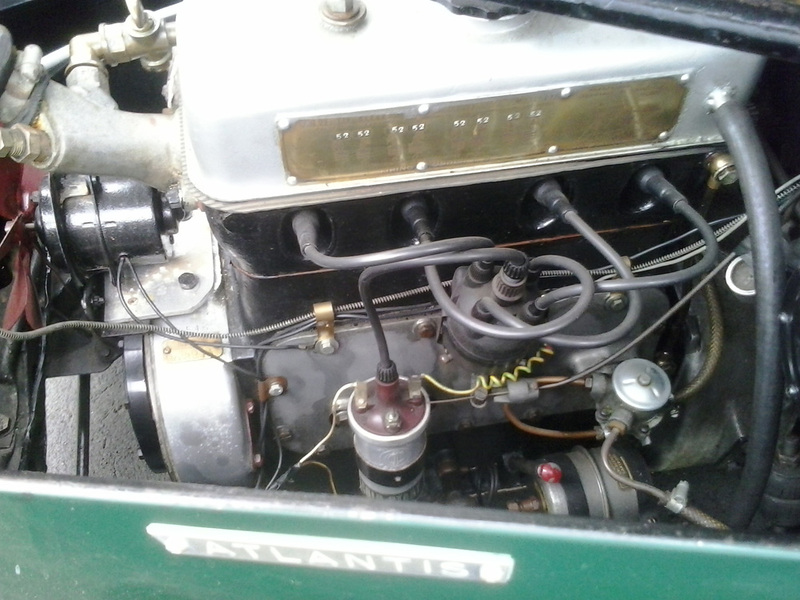 To answer this shortcoming the engine was enlarged to 1,444cc, initially still known as the Lanchester Ten, it was rated for tax purposes at 10.8hp and later renamed the Lanchester Eleven. The increase in power was welcomed by the motoring press and by the lucky motorists who could afford to buy this luxury small car. 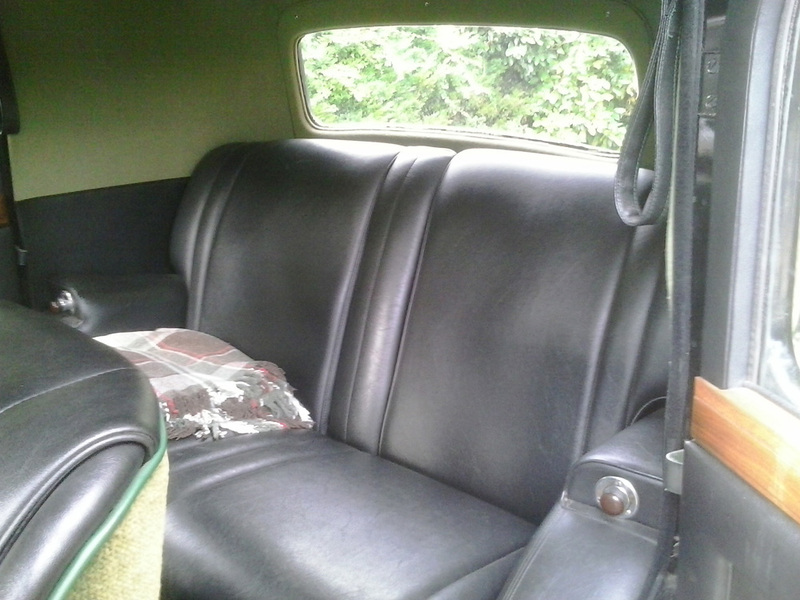 Most left the Daimler works with six light saloon coachwork, (please see ‘Lanchester Eleven (LA11)’ described on another page on this website). I thoroughly enjoyed driving the smallest Lanchester to be fitted with a fluid flywheel and was keen to try the slightly larger car. Having owned several Daimler and Lanchester standard saloons (if there can be such a thing from a company of this pedigree), I was hoping to buy a coupe or tourer of some description. Lanchesters of any type are pretty rare and nothing suitable has materialised. ‘Sports’ relates to coachwork, not performance! Out of the blue I was offered a car that I had seen for sale several years ago, at a price that I felt was a little too high. The car had not sold, but as time has passed, values have risen and the price now seemed about right. Whilst not the coupe that I desired, it is the four light ‘Sports Saloon’, which I find very pleasing on the eye, only four of these pretty Lanchesters are known to the Daimler & Lanchester Owners’ Club. It is worth mentioning that the term Sports Saloon relates to the coachwork and not the car’s performance! The mechanical specification is identical to the six light saloon. There are no twin carburettors, aluminium cylinder head nor overdrive gearbox on this model. There may be a very slight weight difference owing to a slightly smaller body, but I doubt that it would have any measurable effect on performance. A fairly large car for just 11hp (RAC rating). The photographs do not really do the car justice, it looks much more impressive when seen on the road, it is very well proportioned and appears much larger than you might expect for a family car of just 11hp. The Lanchester has not been used for three or four years and requires some light restoration and recommissioning, I am hopeful however that nothing too sinister lies beneath the layer of dust! Recovery was made on the hottest day of the year. 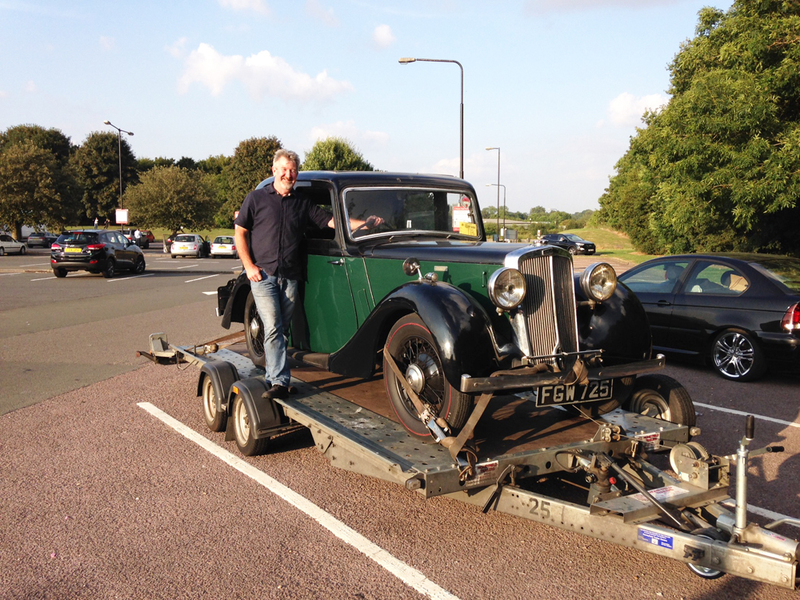 The Lanchester was recovered on a hired car transporter on one of the hottest days of the year, the following day I made a start on getting the car to run. The fuel pump was not operating and the carburettor required a good clean. The ignition components were all cleaned and adjusted, a fresh battery was fitted and after a few churns of the motor, the engine ran up on all 4 cylinders and settled into a nice gentle idle. I ran the car around the block and discovered that the steering feels nice, all gears are working, the horn, trafficators, most of the lamps and even the wiper motor operate (after a fashion). 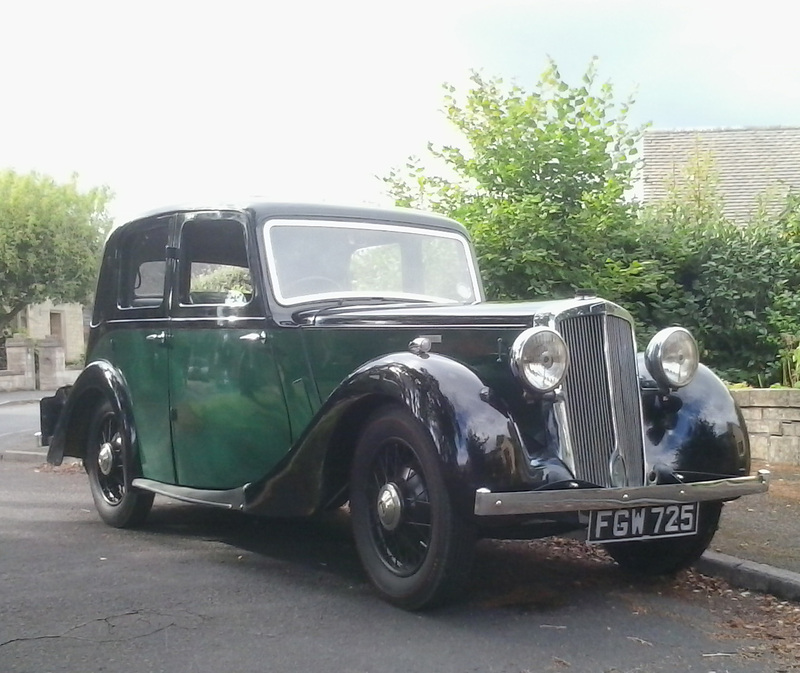 The biggest let down was the braking system, the brakes are awful – not at all like a Lanchester should be! Smart 4 cylinder ohv engine . Once back on the drive I lifted the bonnet and noticed coolant pouring from the radiator, tea time was looming and I felt that I had done enough for the day, I am pleased to say that even though the run was short, the car seems to pull very well and the engine seems particularly sweet. I have a routine with these old cars, almost without exception I replace all of the coolant hoses, sparking plugs, oil and filter and carefully check, adjust and grease everything else. This system pays off as I often come across faults that would otherwise materialise out on the road. Although I am well acquainted with the roadside breakdown, I would rather avoid it if I can! The brakes were adjusted and upon inspection I discovered that I had inadvertently bent a brake rod when recovering the car. I removed it from the chassis and straightened it, the difference was remarkable, the brakes now operate in a nice smooth progressive manner. 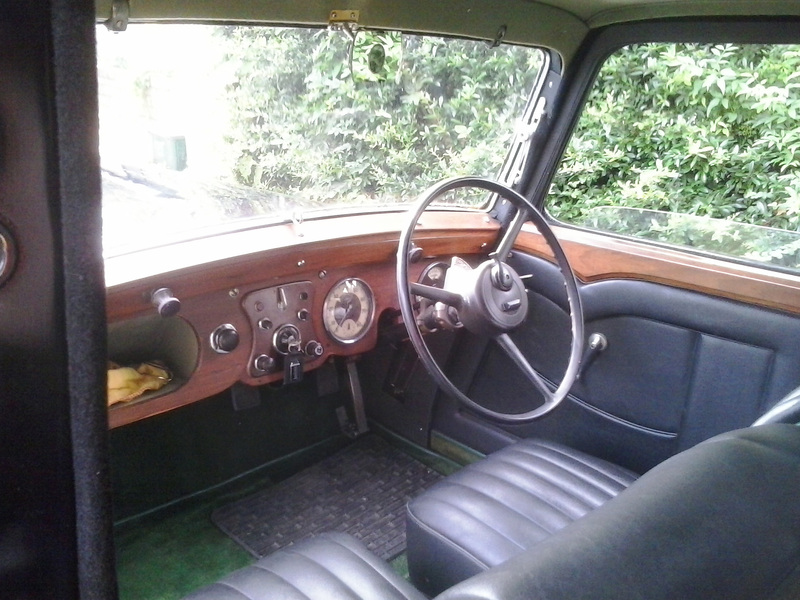 The Lanchester’s interior is very similar to other Daimler built cars of the era, it shares the same instruments and switch panel with the larger Fifteen and even the much larger and more expensive EL24. The switches and controls all fall readily to hand and are light and pleasant to use, the gearchange mechanism is particularly light and accurate, gears engage without fuss and the box is nice and smooth and quiet in operation. The steering is just as I remembered on the LA10, almost as good as rack and pinion, so light on the move that a young girl could steer it without any problem. Bucket seats are smart and comfortable. 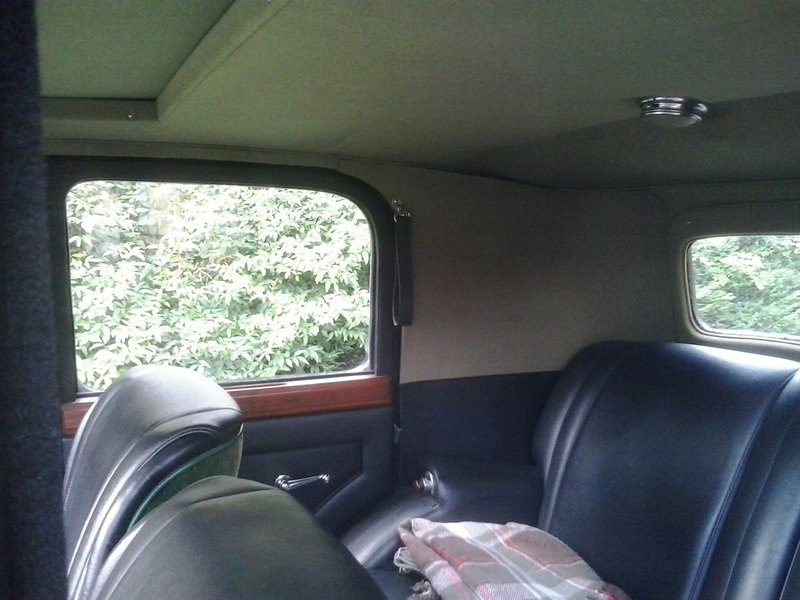 The interior is delightful, the materials used were of high quality and the workmanship first class, refined and conservative, it is a nice place to be for both driver and passengers. Rear compartment has plenty of room for 2 adults. The comfortable rear seat has a central folding armrest, with ashtrays built into the side armrests, ‘grab’ handles are provided to aid passengers entering or exiting the car. The headlining is manufactured in the highest grade cloth and adds to the overall impression of quality, a rear roof mounted reading lamp is also provided. Headlining is of the best quality wool. The Lanchester 11 has an opening front screen and a sliding ‘Pitchley’ sunroof, these little cars were expensive when new, but you certainly got a lot for your money, and they were certainly built to last! I have now carried out a full service, fitted flashing indicators and given the old car a good wash and polish, after several years of neglect the car responded to the treatment and looks fabulous. A longer test drive around Frenchay Common and on to the ring road has shown that the performance is noticeably better than the 10hp model, with considerably more ‘zip’. The car has been used for numerous short and fairly long journeys, it has proven to be a very comfortable and pleasant car to use, fuel consumption is very reasonable and the performance for a fairly large car considering its power output is surprisingly good. Wherever the Lanchester goes it always raises a smile, it is surprising the number of people who have an elderly relative who owned one in the distant past. 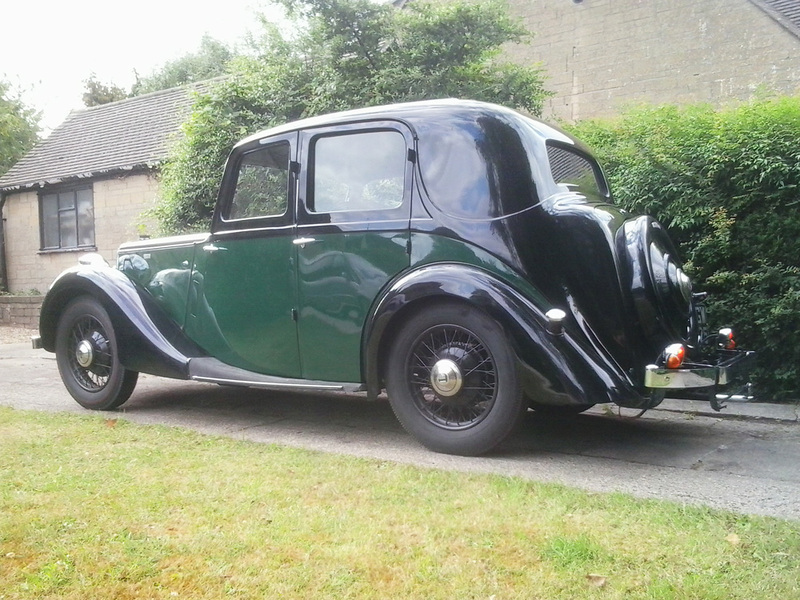 I suspect few owned a sports saloon – they were more pricey than the standard six light model, which would have appealed more to most conservative Lanchester Eleven buyers. Although the tyres on the Lanchester had plenty of tread, they were old and cracked, there is always a temptation to run the car with these tyres to get some use out of them, but it is a huge false economy, as well as being dangerous. These old cars handle well if they are properly set up and the tyres do have a huge impact on road-holding and ride quality. I invested in a full set of covers and had them fitted and balanced at Britannia Tyres, of Fishponds in Bristol. The ride home was so much more comfortable and quieter than the drive there on the old tyres. The Lanchester really has grown on me, it is a ready starter, warms up quickly and pulls well up hills, the engine is very quiet and refined for a four cylinder unit, although I have to agree with the road testers of the 1930s, it is not quite as smooth as the admittedly less powerful Ten that preceded it. 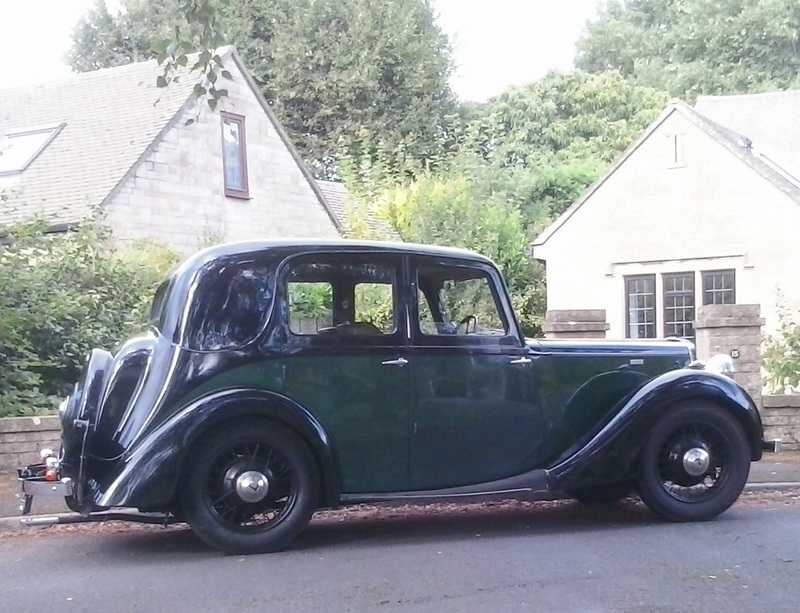 I am still keen to try a Lanchester Ten or Eleven coupe, please contact me if you have one that you wish to sell!